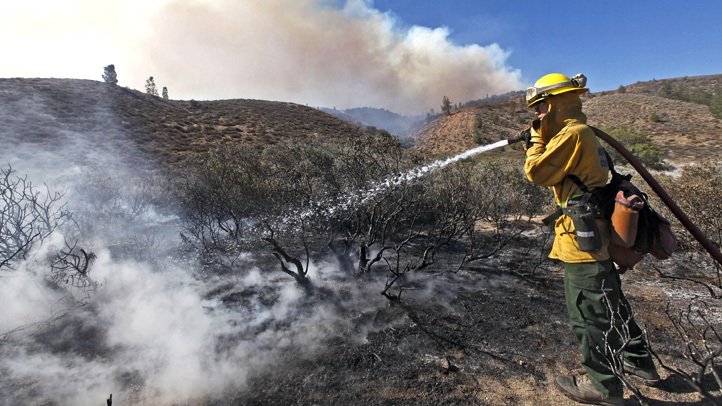 Thousands of people are reeling from the devastating Valley Fire. As the massive fire, which as of Tuesday morning has scorched 67,200 acres, continues to grow, many don't know if their homes are still standing. After sparking Saturday afternoon, the Valley Fire has charred in excess of 95 square miles in Lake, Napa and Sonoma counties and claimed a life. It has also gutted at least 585 homes and hundreds of other structures, and threatens 9,000 more. More than 13,000 people have been displaced from their homes and forced to take shelter at evacuation centers, including Kelseyville High School, Napa County Fairgrounds, Highland Senior Center and Big Valley Rancheria Gymnasium. The American Red Cross estimates that 1,000 evacuees have gathered at the fairgrounds alone. But they’re resilient and in good spirits because they’re backed by generous Lake County and Bay Area residents. However, donations of packaged food, clothes, toys and other items are piling up, prompting the American Red Cross to turn people away. The organization’s officials are specifically requesting cash donations to provide casework assistance, meal deliveries and other types of long-term help to victims. But that’s not going over well with other community groups whose members believe the American Red Cross should take all donations and try to figure out how to get them where they are needed. So they’ve begun trucking in donated Girl Scout cookies, water, tents, blankets and other essentials through the fairgrounds’ rear entrance. "I can’t see anybody that seems to not need more things – I mean they’ve lost everything they have," volunteer Dustin Baxter said. The Calistoga High Athletics Booster Club is also chipping in by preparing meals for evacuees. Tuesday’s breakfast consisted of eggs, bacon and potatoes. "If we can feed them, make them happy with a little food, that works," volunteer Jim Yant said. 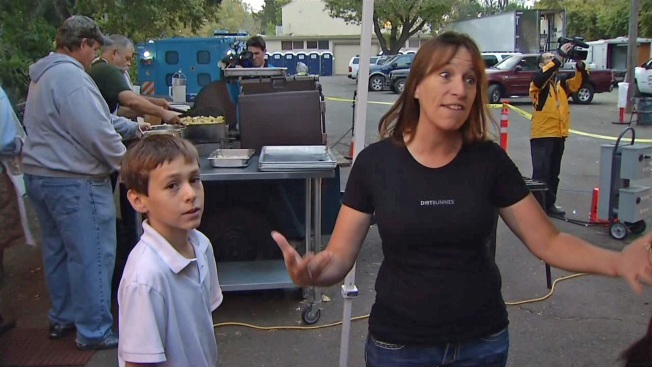 Club members told NBC Bay Area that food donations are needed and welcome.